I’ve got a great recipe for you today. 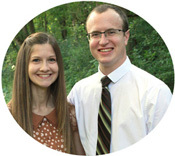 It is one that I have been wanting to share with you for quite a while now. It is also the first recipe I ever created. I was really nervous and didn’t know if it was going to turn out the way I had hoped, and to my surprise, it totally did. It was a thrilling feeling and I hope ya’ll will love them just as much as I do. 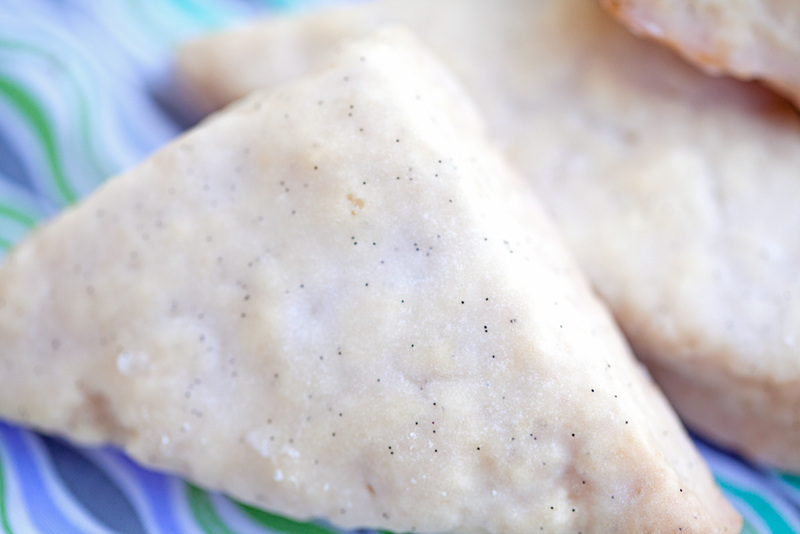 Not only are they a great afternoon snack or dessert, but they also make for a yummy breakfast. I ended up sharing ours with new neighbors that had just moved into the neighborhood and I am pretty sure they were a great hit. Feel free to share them with your loved ones or keep them in a special place just for yourself, I am not going to judge :). 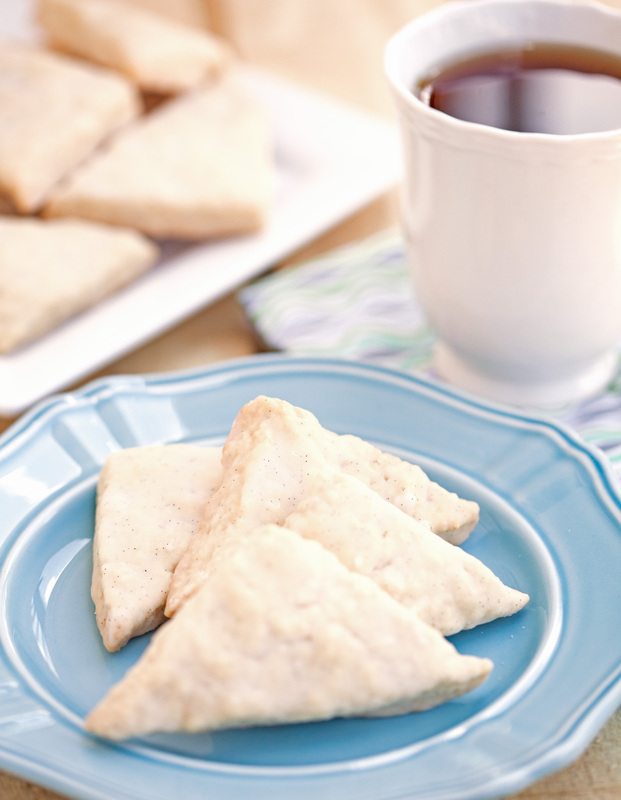 They taste best with a freshly brewed cup of coffee or hot tea. The slightly hard outside and soft center qualifies them as the perfect pastry for dunking. And hey, since they are petite, you can easily enjoy 2-3 without having to feel guilty. Don’t forget to find a comfortable, (if possible) quiet spot to sit, relax and devour these. You deserve a little ME time. Start by sifting your dry ingredients twice. It makes for a fluffier scone. Next, cut up your cold butter into chunks and put them into the flour mixture. 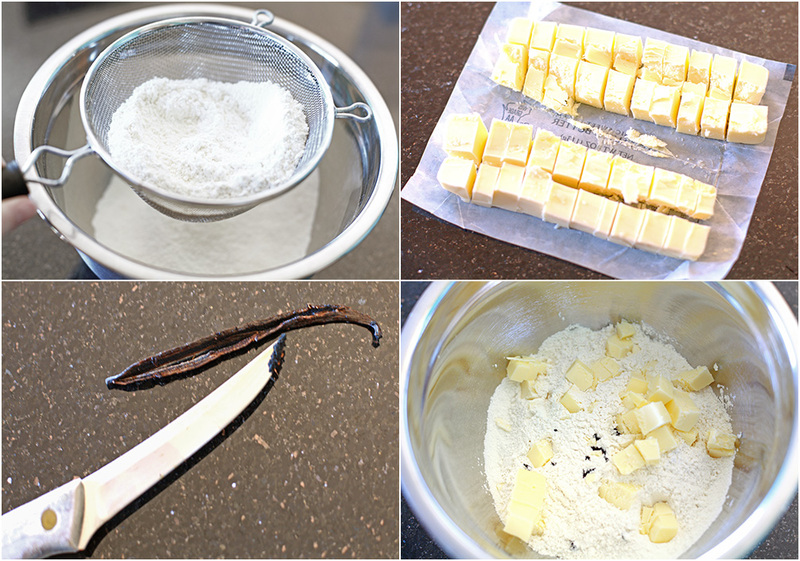 Scrape the caviar of two whole vanilla beans and add to the dry ingredients (you simply cut the vanilla bean lengthwise, open it up, and scrape out the caviar with a knife). Mix in the heavy cream and one egg. Work these ingredients, especially the butter into the dough, until a smooth dough forms, using a pastry cutter (I used my trusty fingers, which worked just fine). You still want to be able to see some chunks of butter throughout your dough. Be careful not to overwork it. 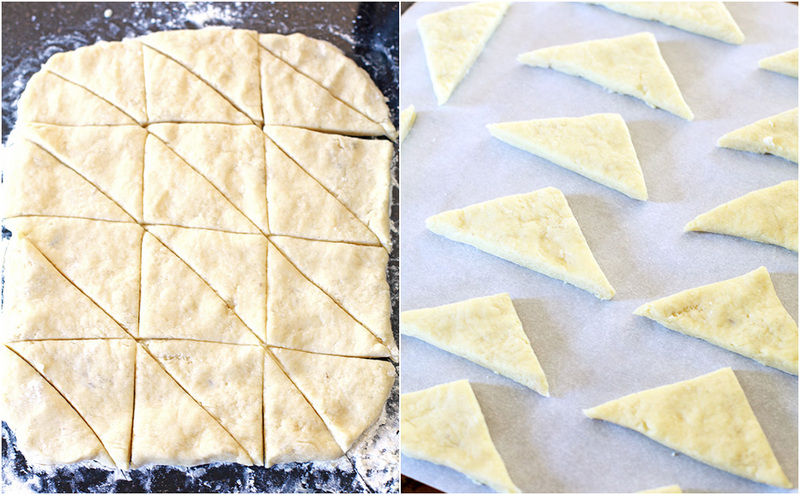 Once the dough is rolled out, cut it into 24 triangles (or 12 bigger triangles if you want regular sized scones) with a pizza cutter – pizza cutters aren’t just for cutting pizza anymore. It works beautifully. And don’t worry if they don’t look perfect – embrace the rustic look. Put them into your oven and take them out until they just start to turn brown around the edges. Let them cool completely on a wire rack and let cool completely. If you can’t wait until they are completely cooled and dunked in a yummy glaze, please try a slightly warm one. They are pretty darn tasty… not that I am speaking from experience or anything. Here’s how you whip up the glaze while the scones are cooling. 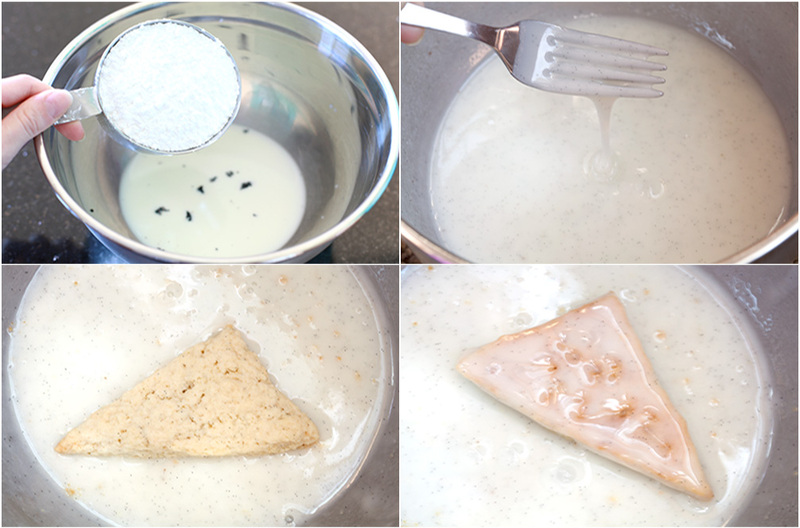 Combine 4 tablespoons of whole milk with the caviar of another vanilla bean. To that add 2 cups of powdered sugar and mix with a fork until a smooth glaze forms (add more sugar if glaze is too runny). Finally, (using your fingers) double dip each scone into the glaze and transfer back to the cooling rack to let the glaze set. Aren’t they just the cutest little things? 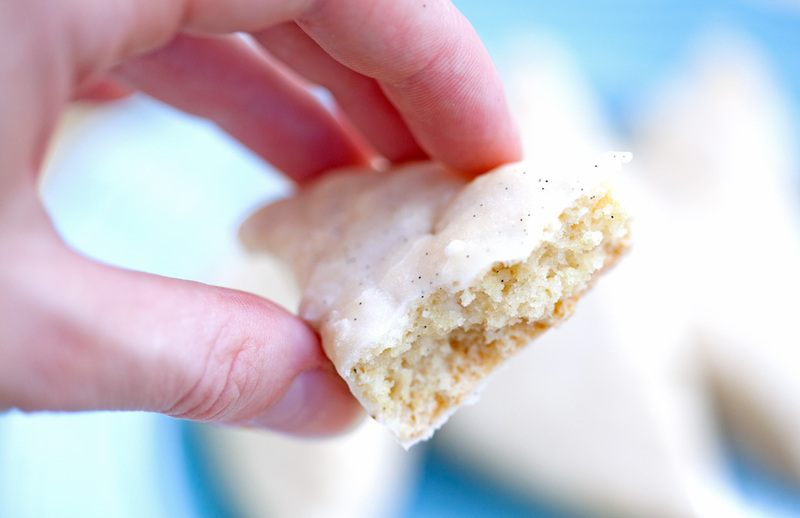 How fun are the small speckles of vanilla not only throughout the dough but also in the glaze. Double vanilla – win, win if you ask me. Here is a look in the inside. Mmmmm….. 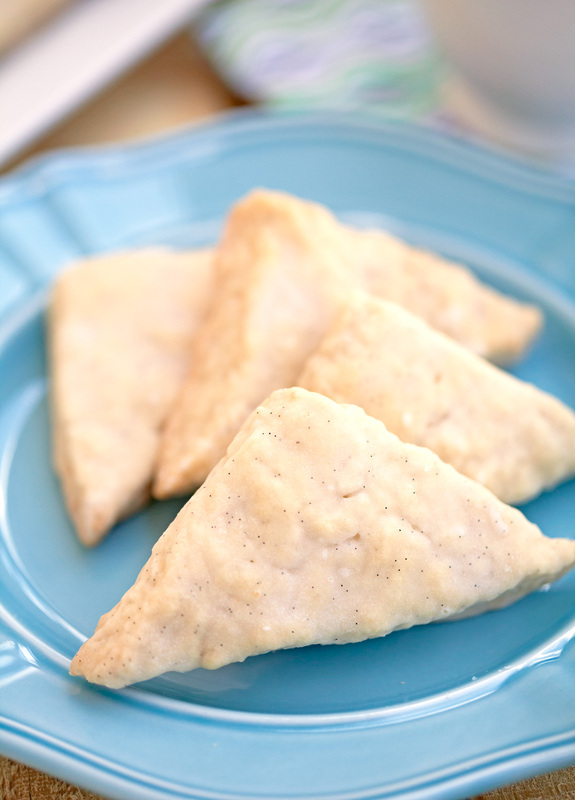 Perfect Small Vanilla Bean Scones That Will Melt In Your Mouth. 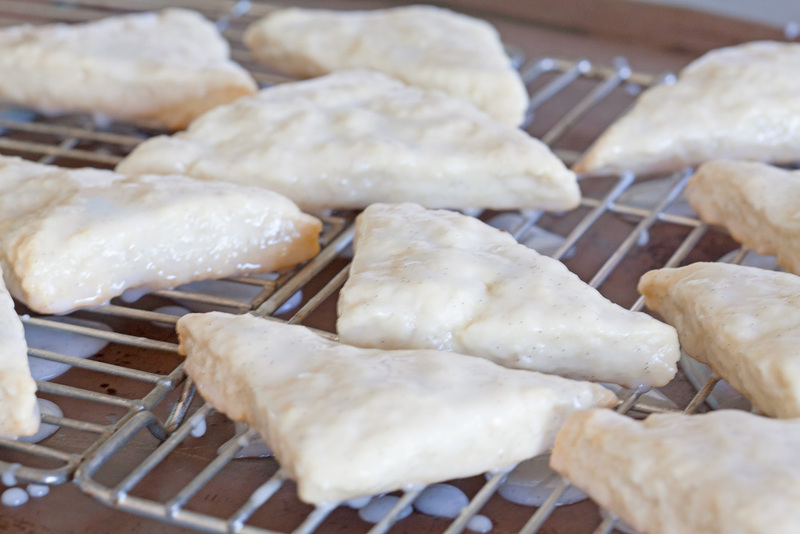 Set your oven to 350 degrees F. Line a baking sheet with parchment paper. 1. Combine the flour, sugar, salt, and baking powder. Sift these ingredients twice through a fine mesh strainer. 2. To the dry ingredients, add 1 cold stick of butter, cubed. Next, add 1 egg, 1/2 cup plus 1 tablespoon heavy cream, and the caviar of 2 vanilla beans. Combine these ingredients with a pastry cutter or your hands. Don't over mix the dough. You should still see some flakes of butter throughout. 3. 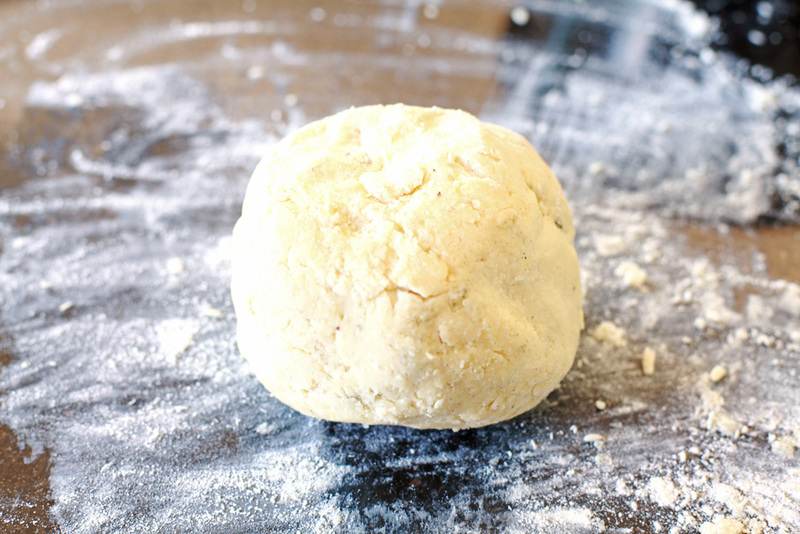 On a floured surface, roll the dough into a triangle about 1/2 inch thick. 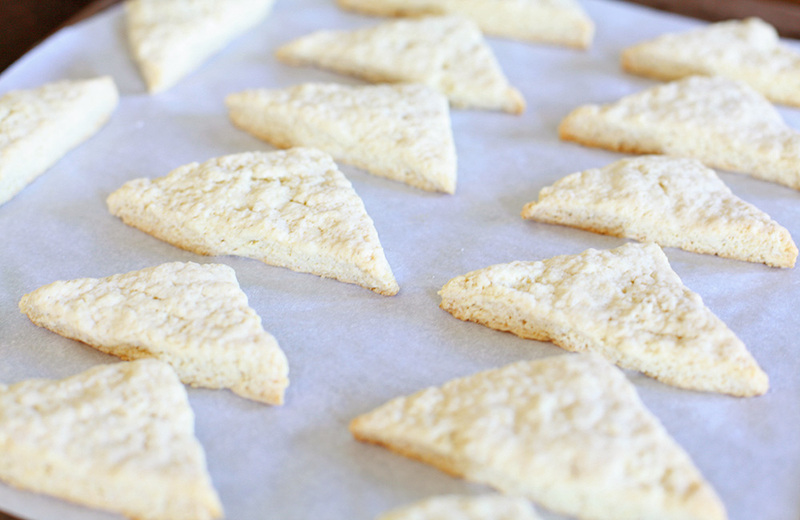 Using a pizza cutter, cut the dough into 24 triangles or 12 triangles for regular sized scones. 4. Put the scones on a baking sheet and then into your oven. Let them bake for 15-18 minutes. You don't want them to turn golden on the top. They should be slightly golden around the edges only. 5. Transfer to a wire rack and let cool. 6. To make the glaze, combine the caviar of another vanilla bean, 4 tablespoons milk and 2 cups of powdered sugar. Using a fork, whisk until smooth. 7. Once the scones are cooled, double dip each scone in the glaze with your fingers. Transfer them back to the cooling rack until glaze is set.